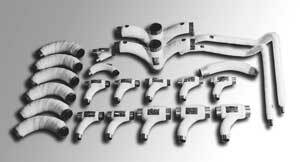 Progressive Products is a full service supplier of pneumatic conveying components. 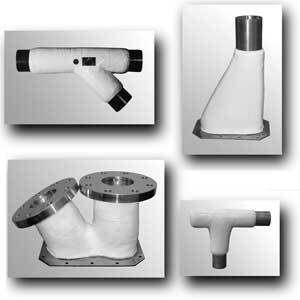 We are best known for our original product line - the Ceram-Back® Elbow - which reduces wear and abrasion in pneumatic conveying systems. We custom manufacture a complete line of abrasion resistant solutions including specialty elbows, fittings, and solid ceramic tiled chutes, bins, hoppers and cyclones. Additionally, we manufacture high quality valves, airlocks and lump breakers. Competitive prices, superior service, and over 30 years in the dry bulk industry, are just a few of the reasons our customers make us their first stop for pneumatic conveying components.